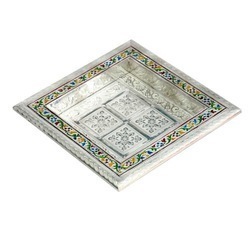 Our range of products include gift tray, aluminium gift tray, silver gift tray, dry fruits gift tray and antique wooden trays. 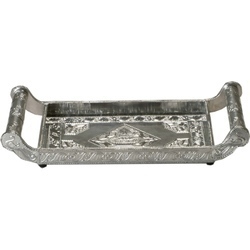 Our organization is counted is counted among the recognized firms engaged in offering premium quality Silver Gift Tray. These trays are designed using superior quality wood and aluminum, which are sourced from the authentic vendors of the market. 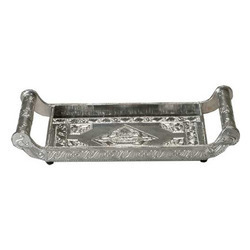 Owing to their superior finish, these trays are widely demanded by the clients. Owing to our rich experience in this domain, we are engaged in offering superior quality Dry Fruits Gift Tray. 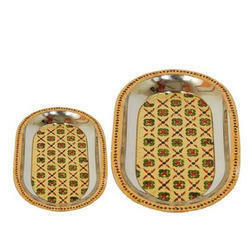 These trays are also known as Wooden Gift Tray that designed as per the current market trends. We also offer these trays in different designs, colors and sizes to meet the diverse requirements of our clients. 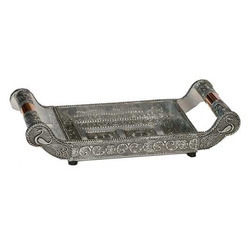 We are a well-known firm, which is engaged in offering a wide range of Antique Wooden Trays. 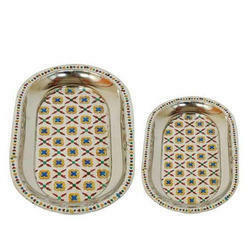 Designed with wood, aluminum and jewelry color meena, these trays are known for their traditional designs. 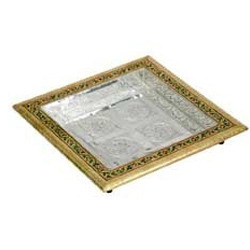 Owing to their superior finish, these trays are widely demanded by the clients.